On Tuesday evening at 5:20, police were called to Jumpin’ Joe’s located at 1634 Sunflower Road to investigate a burglary. According to Captain Paul Forrester, an employee noticed that the northwest door was shattered and contacted the police. Security footage revealed an unknown white male wearing camouflage shorts, black hooded jacket, and a black mask breaking the glass door at 10:45 p.m. on Monday. The male was also recording rummaging through cabinets. When the report was made it was uncertain if items were missing. The estimated loss is $2,500. 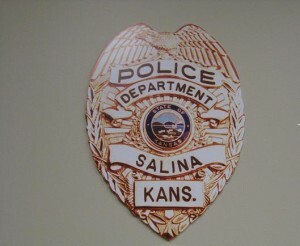 Captain Forrester told The Salina Post that there are no known suspects at this time and the investigation is still ongoing.